NYC Mission Society is a multi-service community-based organization that improves the lives of children, youth and families in the city’s most underserved communities. Through programs and services that respond to community needs, the organization creates cycles of success for generation to come. Jean Shafiroff was elected to NYC Mission Society’s Board of Directors, effective October 15, 2014. Ms. Shafiroff has devoted her time to helping NYC Mission Society. 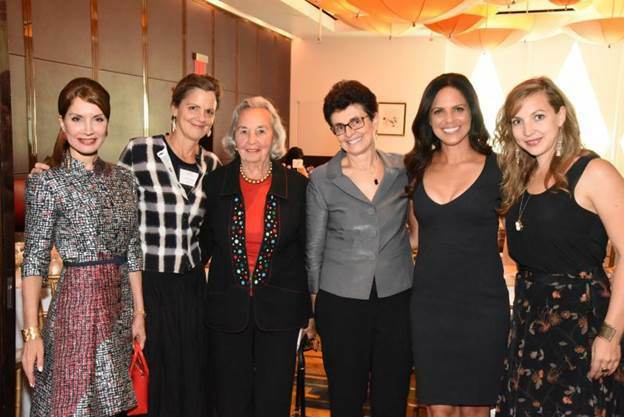 On March 12, 2014, Ms. Shafiroff was honored by NYC Mission Society at its annual Gala and received the Dina Merrill Award for Public Service. She chaired the annual Gala in Spring 2015 and co-chaired a successful event in East Hampton in 2013 and 2014. In addition, she co-chaired and the nonprofit’s Bicentennial Gala in December 2012. Jean is particularly known for her leadership in raising money for the Southampton Hospital. In 2010, 2011 and 2013 she served as the chairwoman of the Southampton Hospital’s Annual Summer Galas, which collectively raised $5.4 million ($1.7, $2 and $1.7 million, respectively). Jean remains active with the Southampton hospital and served as the underwriting chair for the hospital’s summer gala in 2015. Jean has been very active with the Southampton Animal Shelter and served as chairwoman of their Annual Gala in July 2012 and Honorary Chair in 2013. In 2014 she served as Chairwoman of their July 19th Gala honoring Georgina Bloomberg. In July 2015, she returned as chairwoman. In her capacity as chairwoman and honorary chairwoman, she has helped the shelter raise well over two million dollars. Jean has served on the honorary board of the Southampton Animal Shelter for several years.